I was recommended a change in valve springs before installing Colin's cams too. My car is a stock S4. Of course, this has been proven with Greg's intake and those carbon fiber intakes a while back. It's just no one has jumped on the bandwagon of mass-production due to cost. I assume a polymer intake is staggeringly expensive to produce too due to the investment into injection molding and new templates. my entire BEEF with Jim is that he is in denial... thinking that it only worked because those engines were strokers... they will work well on an S4 and they were very crude, as Greg stated too. imagine if they were welll designeed? I respectfully disagree. Colin's cams work with stock valve springs pretty well. I have them in my race motor, which has now been flogged mercilessly for about 20hrs, redline of 7000rpm, 12:1 compression on non stock JE Pistons. I don't short shift it at all. Never. You would think that I would have noticed by now if there was valve float? Has anyone actually busted any springs on this board using aftermarket cams, or custom ones? No, but i have a broken spring story related to the devek B1 cams (near .5" lift) but they had eibach purple colored springs (high performance). this was on scots car before we put the 5 liter on it. (4.7 euro junkyard motor). it broke the outer spring, the inner spring was still in tact. thankfully, the shop didnt fully tighten the head bolts, so it had a blown head gasket.... this led us to pull the motor to find the sping issues, and put the 5 liter short block back on. that was more than a silver lining!! However, i may brag about how my engine is still running after being flogged for many years, but the old original valve springs still worry the heck out of me! Unless someone re-shimmed the stock springs to allow for the additional lift, before installation of the cams, the springs are operating very close to coil bind. If you haven't had a problem yet, count your blessings. OK so no changes simply a aftermarket rising rate fuel pressure regulator and you get from 55hp to 123 hp at the rear wheels ?? Where can we buy one ???? Do you see where you have credibility issues ? You say above stock S-4 400hp with "proper" intake then later say well at least 50hp it is like you contradict yourself as much as you argue with others. But mostly how you as an individual would learn more by reading than by writing....probably have more friends too. You may now have the LAST words on this "debate" as I no longer find it amusing. both # 1 and #2 were to show that the Ljet and LHjet are incredibly adaptable to major changes , NOT that only a "twist on the Fuel reg" made the gains. it was to address how to tune the system with that kind of dramatic gain (edited to be more clear). 3. when i talk about the "proper intake" im talking about , ONLY an intake mod to the S4... im guessing that most get 275rwhp and it goes to 325rwhp which i near the 400flywheel hp mark. the reason i say this is that , joe and mark got about 100hp on the mod, based on your "pushback" im taking only half of those gains to the smaller S4 5 liter...... make sense now?? no contradictory statements!! 4. as far as your "bolting on a carburetor" or even a tunnel ram... this is good, but no where near as effective as the flow efficiency gains on FI motors. putting a 650 double pumper on some anemic old ford 289, isnt going to do much. i see where you are going, but we are not in that ball park. we are talking about something that has already been proven on the 928S4 with a stroker to make near 100hp. sure, its not a 100hp adder to the 5 liter, but it also doesnt mean that the 5 liter has no restirction in the intake!!! 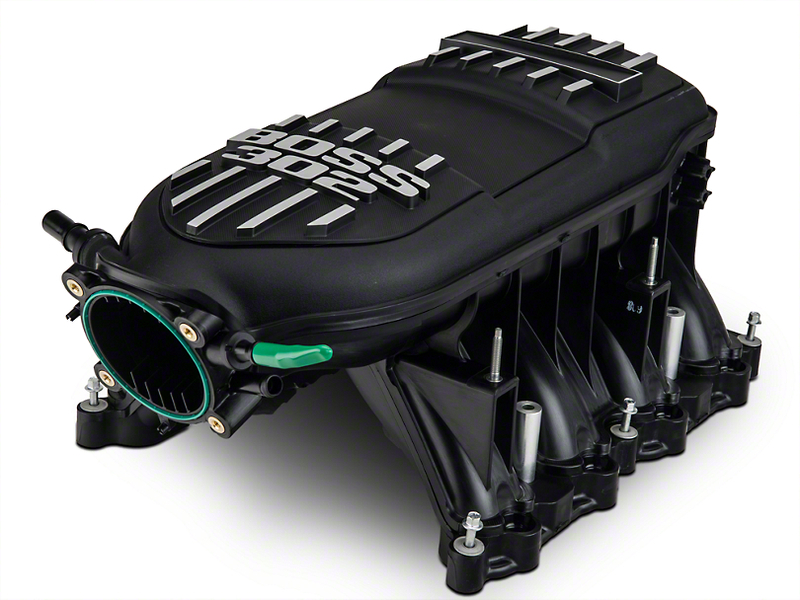 we have 2 valve 4.7s with more lift, more duration , near the same compression 10.5 , and more displacement, bigger valves 45mm vs (4 valve 35mm on vantage and yes, i know, its 2 valve vs 4 ), and still making only 275rwhp. the vantage is a great example of really, only an intake giving he majority of the differences here. The S4 with GTcams has only 1mm less lift, 600cc more displacement, 10:1 compression vs 11:1, and a horibly restrictive intake making the difference! thats my only point Jim.... so, if im not making friends saying that the S4 has HUGE potential for an intake only change for big HP..... those are not freinds to begin with. you remember when i was the first to bolt on the euro cams on to the 4.7 and no one knew it would work or how much hp the euro intake would make on the 4.7 US?? i think i made quite a few friends showing that this was not only possible, but a HUGE improvement over stock. we are on the same team here Jim.... just trying to make the S4 better by doing things that are easy and dont cost much. Now, if you would prefer i would stop typing and do more reading, thats find. but i think what im actually doing and will be doing, is actualy interesting to those that like to see improvements at a reasonable cost. you see, i have no horse in the bolt on game here... only for the love of the car and the group here.... thats it. Last edited by mark kibort; 03-08-2016 at 08:14 PM. coil bind at 10mm (stock GT or '85) or 11mm lift? really.. what are colins cams lift compared to stock. dont think the spings are anywhere near coil bind.. are they? you think there is only 1mm of safety zone avaiable.... 1mm more lift not available in the spring? i guess if the cams are .5" lift, then i might be concerned but i dont know for sure, other than stock springs worked on 10mm lift no problem up from 9mm lift. Mark, I have something in mind - If you remember, I managed to get 438rwhp out of a 5.4ltr GTS based bottom end with higher compression, Colin's cams and BMW ITBs. The engine is streetable and there is tons more power left on the table. Why am I confident in saying this - because I am not running an airbox! BMW spent countless hours giving the bellmouths the required radius and to take advantage of the plenum around them. I am running them FORD GT40 style, which robs power. Two reasons - packaging and time/money. sounds like you have found someone that I have been searching for a while to make up something that could be amazing!!!! keep us posted!! 85 928 would be great. then we could use the stock MAF and maybe even the stock air box and it would be a bolt on affair! conceptually, its an easy build.. just wish all the R and D wasnt only applied to the stroker or boosted cars. Had a similar concept worked out with my 944 but using Suzuki GSX-R throttle bodies 10 years ago. I scrapped the project when I put the car up for sale. The ITB idea is still a great concept, and the fact that the Alpha-N is out, makes it easier to tune to factory fuel injection. How much gain are we really talking about with a simple changeover for cars that are not the GTS? I see these induction modifications as various stages to an increase in performance. 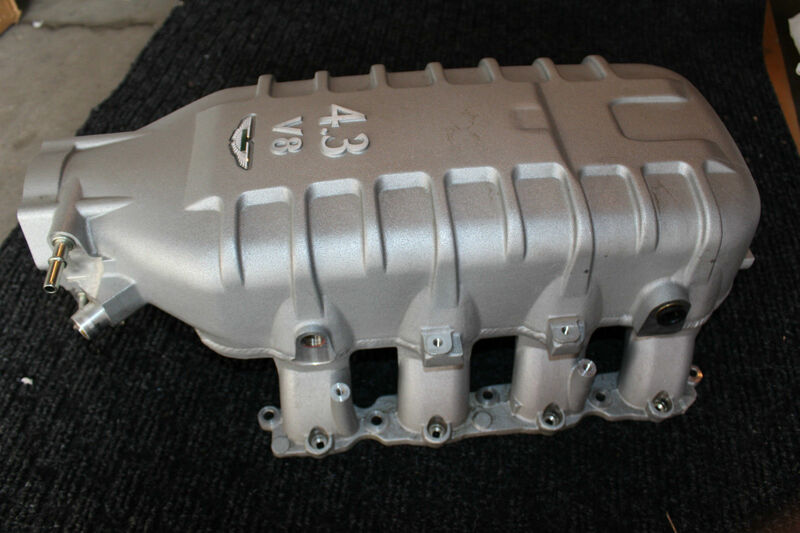 1) Custom or Updated Intake Manifold or Individual Throttle Bodies as an alternative are a good start. 2) Cam upgrades would make more efficient use of the dramatic increase in airflow. 3) Sharktuning would be next to optimize the efficiency of the engine and add bigger injectors into the setup. Let's be honest here though... How many of us are willing to drop $10,000 for a 70-100HP increase? In my case, I just want to get as close to 400HP as I can, whether it's Ken's S300 chips or Colin's cams and a Sharktune. no one wants to spend that $$ .. welll, some might. But, the cam and exhaust mods willl get you to that point, at least very close. I think someone could take carls intake runners , after alll, this is the most critical part , and mount it to some custom or modified plennum. this is not a 10k$ proposition, we are talking 2-3k and i would be all over it. one of the nice things about this, is that all the worries about strength of the gear box and clutch , go away, because the one thing the S4 intake is GREAT for, is making low to mid range torque and we dont care about that, we want power..... So, like the CF intake that stole a bunch of torque down low, it gave 100hp up high where you use the car when it matters. 4500rpm to 6500rpm. its not going to be for street totlers, but it will for the more decerning that undersand, if you want the car to pulll hardest, you put it in a gear that gets you over the 4500rpm range to start! I just hope someone makes one soon!! has anyone see the mustang manifolds? they might work.. heck, the vantage stuff is similar.. bottom line, these cars are getting stupid HP with not much more than an intake! There have been a couple of stock valve spring failures with reg round cams. The widow had one let go that took out the engine. The Lindsey racing springs we were using turned out to be using offshore steel and failed at way too high of a rate. The PAC springs we are using now are great and have not had a single failure. They are drop right in, but I still recommend measuring how much play before coil bind they have. Cheb has said he is running stock springs, I have no idea what his machine shop might have done to make them work. The stock intake spring will hit bind near max lift. The exhaust as shimmed from the factory will hit bind before max lift is achieved. But there are no permanent modifications made to the head to run my camshafts, so therefore I consider them plug and play. They will start and run with the stock chips as well. There are no aftermarket intakes that can be adapted. Our bore spacing is simply too large. If you'd be all over an intake for $2-3k Mark, why not get a set of my cams and springs and get a large bump in power! can you change the springs with out pulling the motor? I know .. the bore spacing is HUGE in our cars. i guess the only chance we have is for carl to make his simple two box set up! Springs can be changed with engine in the car. Use a leak down tester to pressure up the cylinder, this hold the valves up allowing you to remove and install the valve springs. i think we need to talk... i should have done that when i first blew the Holbert cams... dont know what i was thinking!!! maybe you hadnt made them yet, and deveks and gregs were hard to find. anyway, if we would have been talking before i did the timing belt, i might have done them .... i guess, now i have to psych up to do the job again, and while im in there, ill put on your cams.. what do you think it will give me hp wise? you can PM me about the cost.